A nurse has been found dead with a hypodermic needle still stuck in his body in a shopping mall's restroom near Seoul, police said Friday. 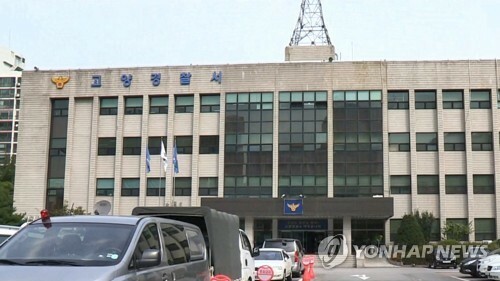 The Goyang Police Station said a janitor found the 28-year-old nurse collapsed inside a men's restroom on the first floor of the shopping mall in the city of Goyang, just north of Seoul, around 9:00 a.m. on Wednesday. A hypodermic needle was stuck in his body while a syringe and fluid sack had fallen on the floor around him, police said. An autopsy on his body, conducted by the National Forensic Service, has yet to determine what caused him to die. Police are looking into the substance he appeared to have injected with the needle and syringe to determine the cause of his death. Police took a dim view of the nurse being murdered as there were no signs that anyone intruded into the men's restroom. The analysis of CCTV footage from the shopping mall showed him entering the restroom around 10:35 a.m. on Tuesday, according to police. On the same day, the family of the nurse reported to police that he was missing after he was not able to be contacted. According to police, the man failed to come to work at his hospital on Tuesday and made a reservation with a beauty shop for 11:00 a.m. that day.